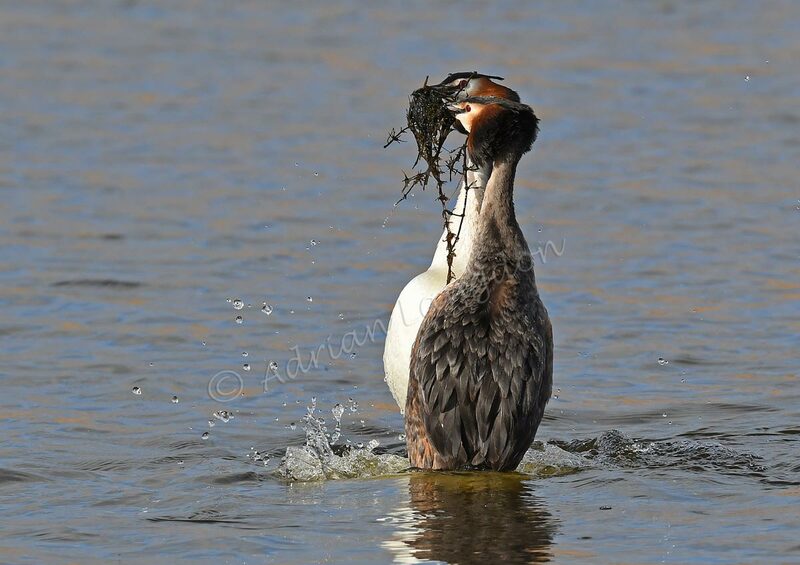 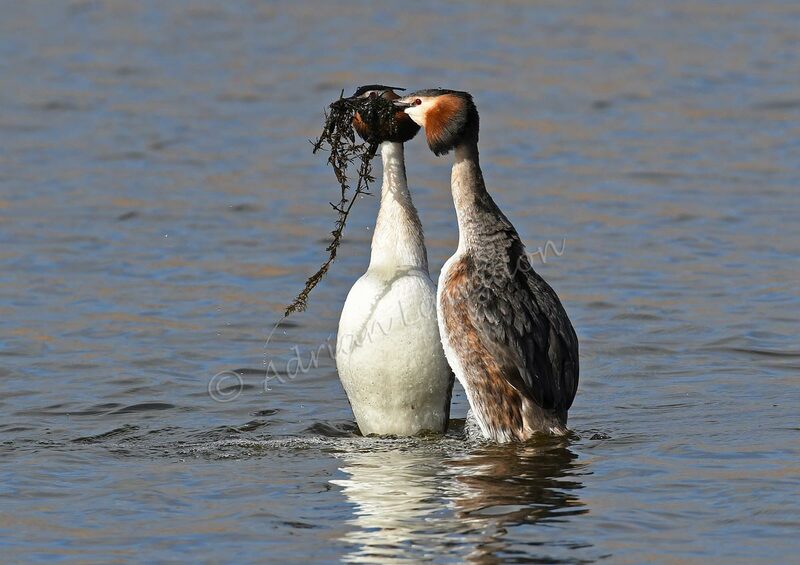 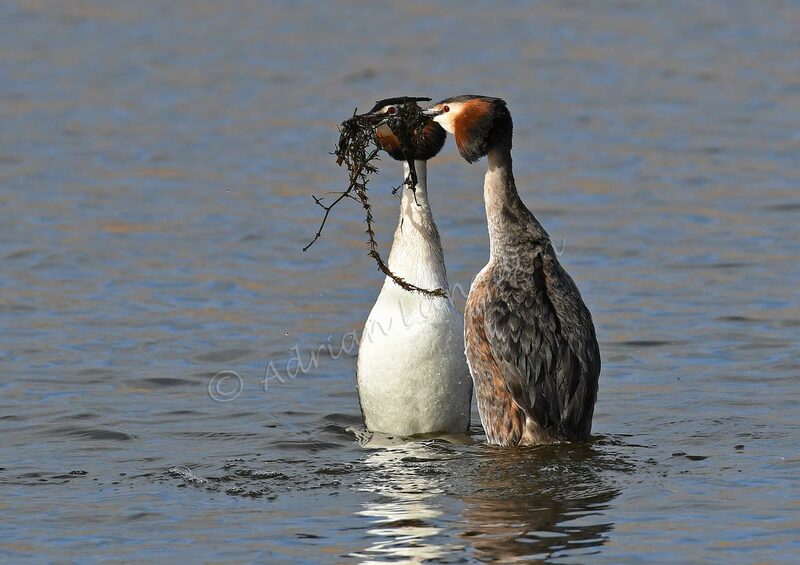 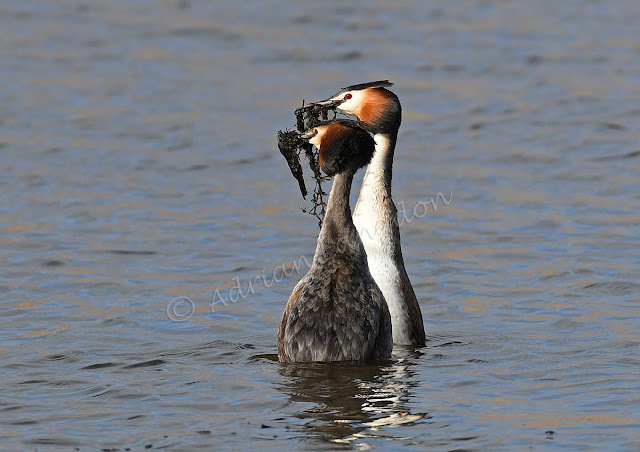 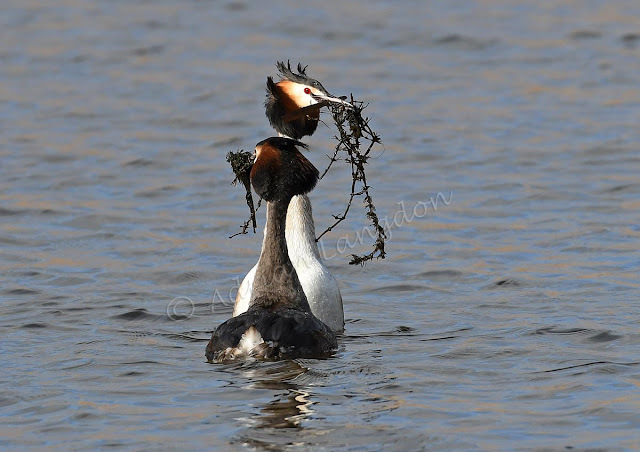 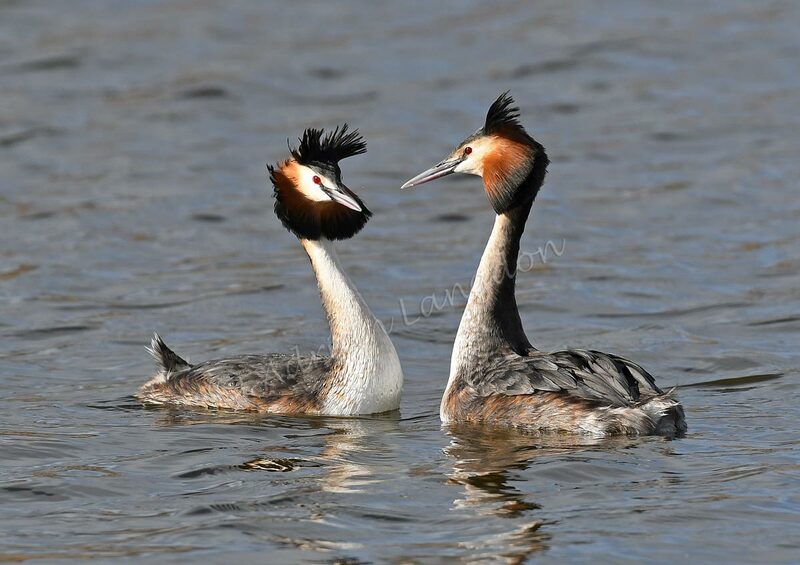 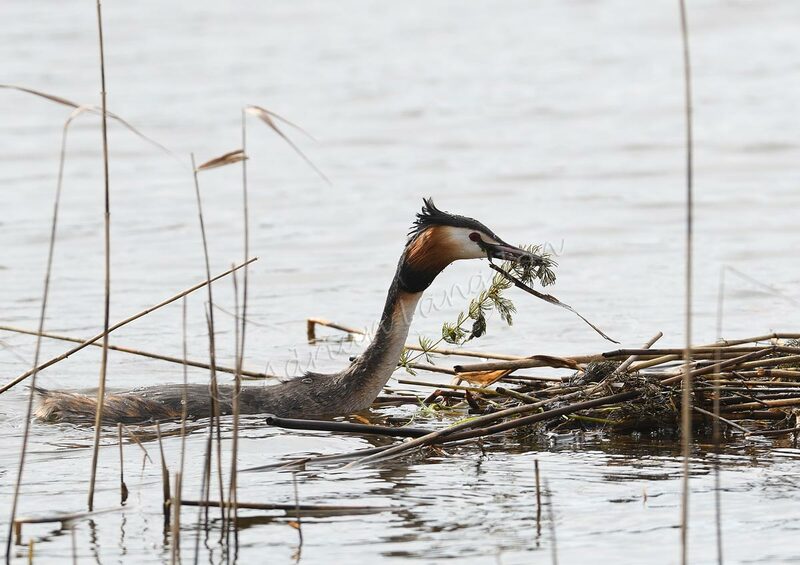 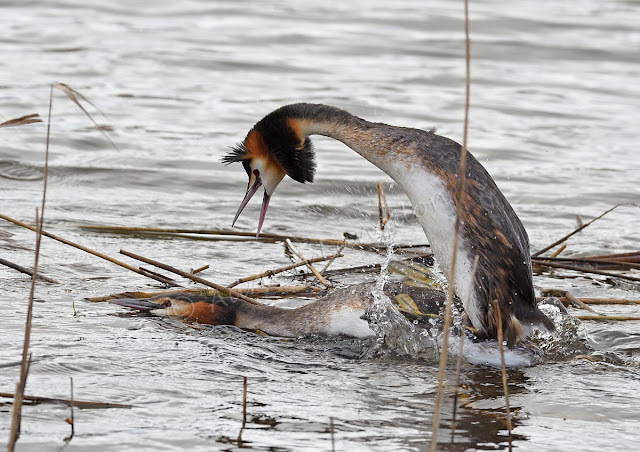 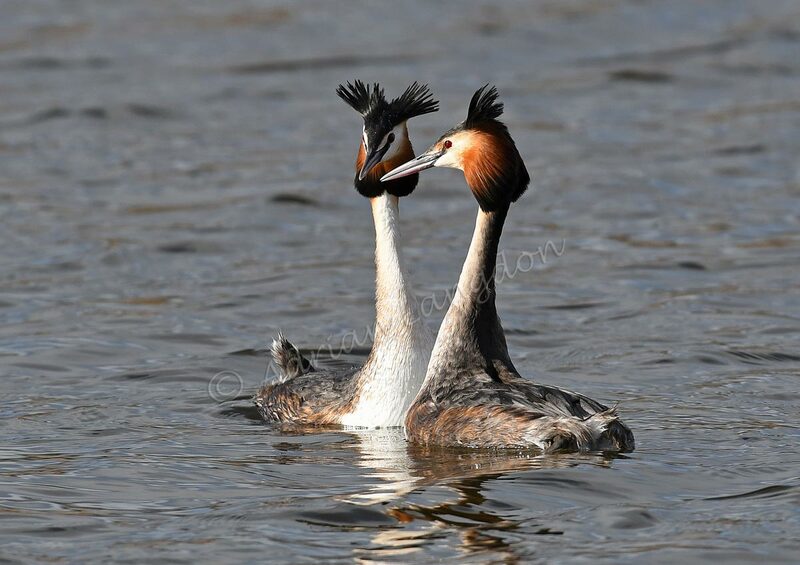 I had a great day on the Somerset Levels photographing this pair of Great Crested Grebes. 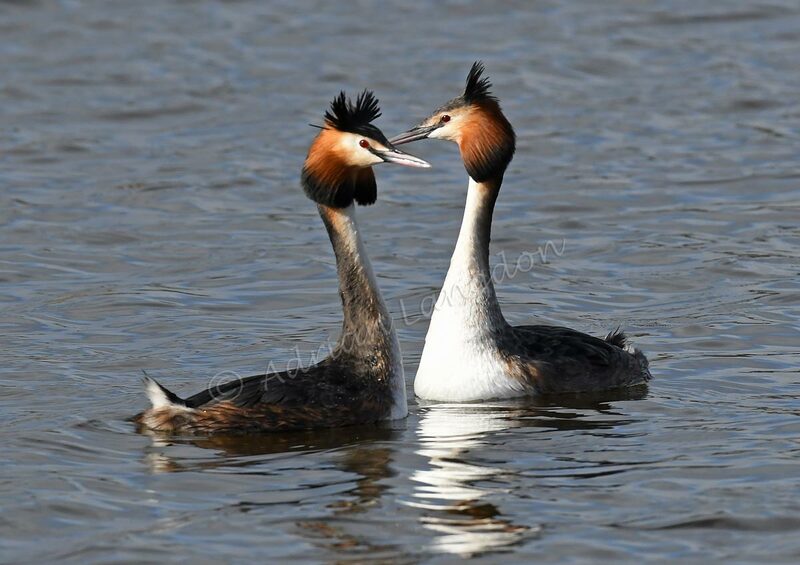 It was the first time I'd watched the courtship display of these birds despite seeing it many times on the TV. On the positive side the lighting was good the first time they danced, a bit contrasty but much better than the rain we normally get! On the negative side when they dived for pondweed to complete the ceremony they brought up huge beakfulls of very dark & muddy weed. 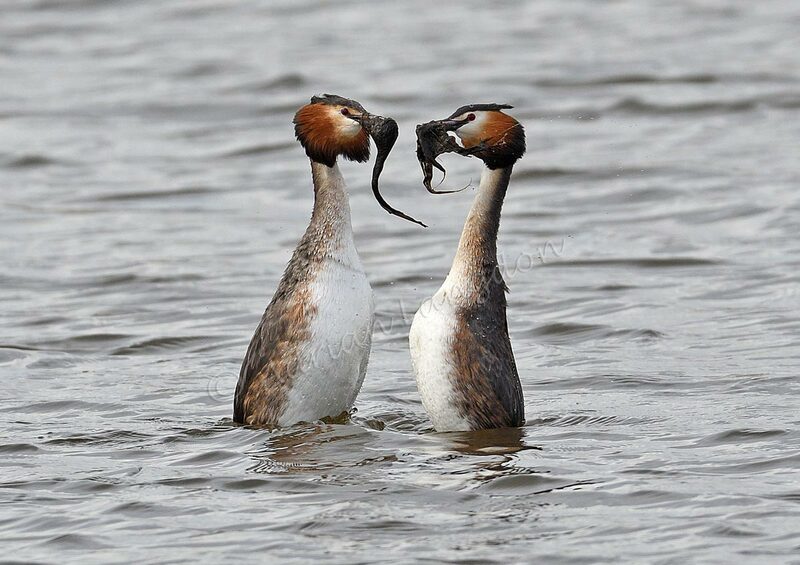 This tended to merge into one big dark blob when the birds were close to each other and often hid their faces during their "face-offs". After displaying they then added bits of reed to the nesting platform and then mated. 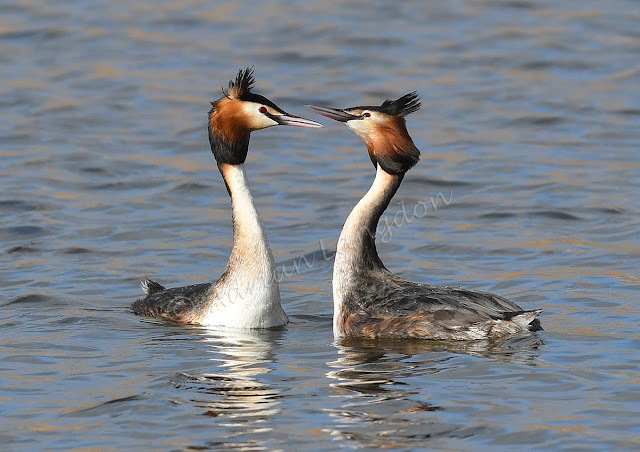 The light was bit difficult but with a bit of exposure compensation they look ok.